True Ames "Bonzer" surfboard fin for FU centre box - 6", 6.5" and 7" fins. 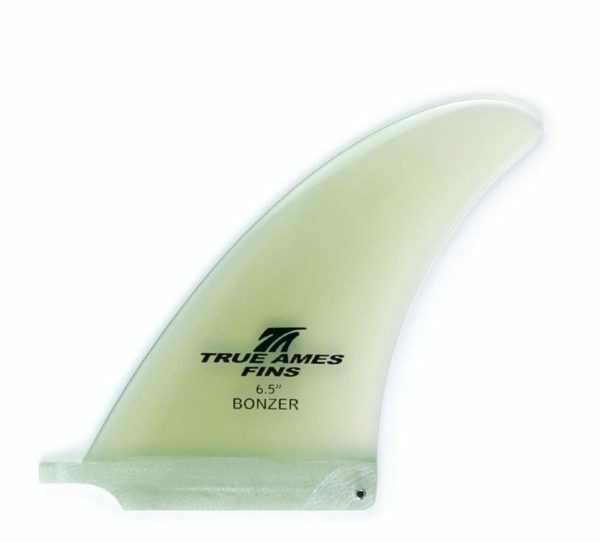 Bonzer! The True Ames 6″ and 6.5″ Bonzer box fin. True Ames was first established in an old water tower in the bean fields on the fertile Oxnard plain. Just so happened the Campbell brothers had recently vacated that same water tower for better shaping quarters. After almost 35 years the True Ames/Campbell Brothers relationship continues as we are as stoked on developing and refining bonzer fins as ever! 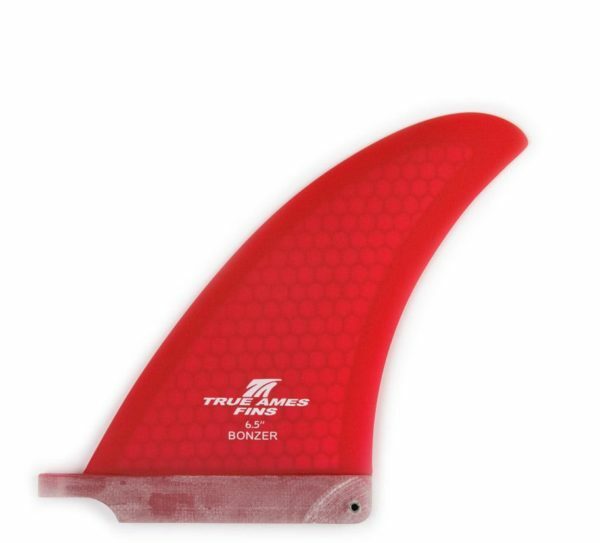 In the quest to make the fins lighter and lighter we have introduced Hexcore technology to both the runners and centre fin. We are hoping to introduce a production version of the centre fin in solid core bamboo, using our cad/cam machining project…stay tuned. Available now in this 6″ (150 mm) and 6.5″ (165 mm) super-light version. Make sure to also get the runners that complete the Bonzer configuration. All Bonzer and True Ames box fins fit the Universal Bahne FU Boxes.